We solve a boundary value problem (problem E in the sense of M.V. Keldysh) for an irregularly degenerate elliptic operator in a rectangle. The exact solution of the problem is constructed as a series in the eigenfunctions of the limit operator. 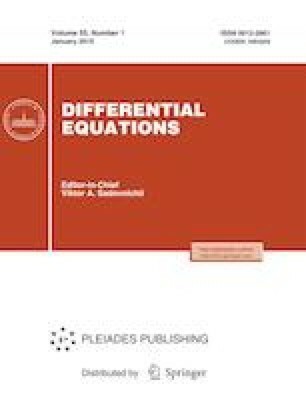 The method of spectral isolation of singularities, which generalizes the method of regularization of singular perturbations to the case of degenerate elliptic equations, is developed. Russian Text © D.P. Emel’yanov, I.S. Lomov, 2019, published in Differentsial’nye Uravneniya, 2019, Vol. 55, No. 1, pp. 45–58.